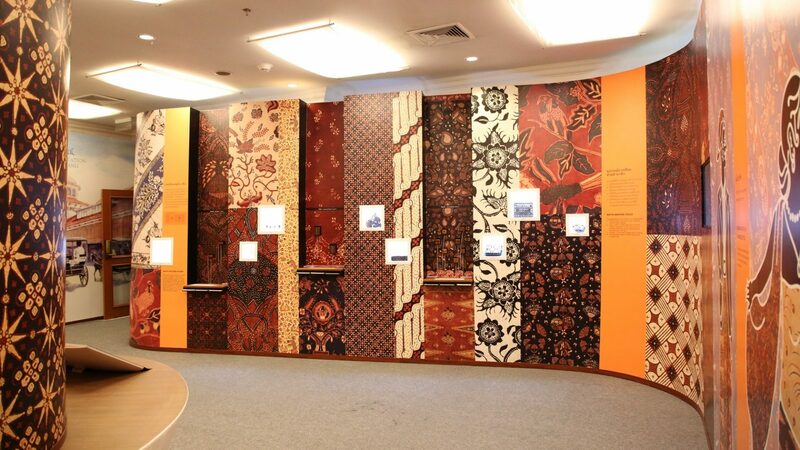 The Queen Sirikit Museum of Textiles open a Batik Activity Room to promote knowledge of King Chulalongkorn’s visits to Java and Javanese batik from the King’s collection. There are five activity stations designed for visitor participation. 1. A Tale of Old Town: Eight photographic scenes of cities in Java either visited by the King or where batiks in his collection were made. a. These will include Jakarta (Batavia), Yogyakarta, Surakarta, Semarang, Cirebon, Garut and Pekalongan. b. The last scene illustrates some of the Western technology that inspired His Majesty to modernize Siam: trains, street cars, and paved roads for example. 2. Create Your Own Post Cards: Eight batik patterns illustrated with eight photographs mounted on the wall above this Activity Station will be made into stamps. In addition, there will be two transverse panel designs and two border patterns. All visitors can choose from these 12 stamps at this station to create their own postcards. 3. Batik Drawing Tools: Visitors can learn about—and handle—batik-making tools such as the cotton fabric, the wax, canting (waxing pen) and cap (copper stamps). 4. Wearing a Batik in Javanese Style: At this station there will be Javanese costumes for visitors to try-on and a video clip demonstrating how to wear the three main styles of batik hip wrappers. 5. 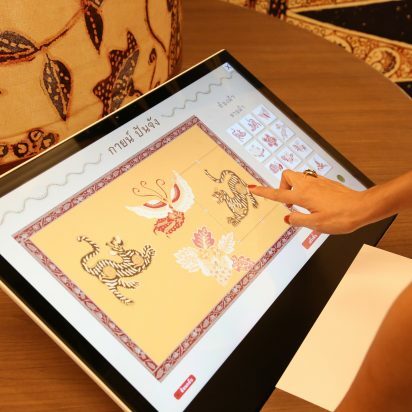 QSMT Batik Game: At this station, visitor will enjoy two games on touch screens. 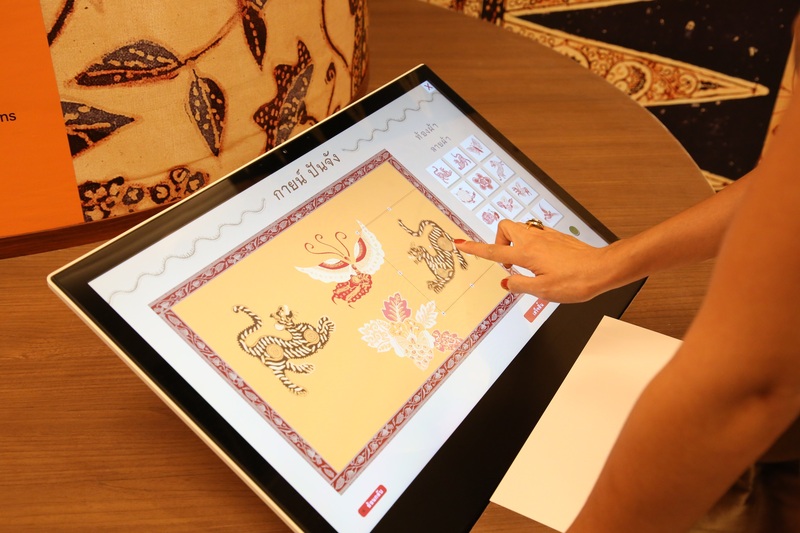 Designing a Batik: This station will allow visitors to digitally design their own batik pattern and color it as they wish. Museum Quiz: This station will test what the visitor has learned from seeing the exhibition and participating in studio activities. The questions are about the three visits to Java of King Chulalongkorn as well as about batik. At each station in the Activity Room there is a staff member trained to assist the visitor.